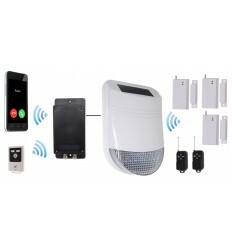 HY Solar Wireless Solar Siren Alarm 1 with Battery GSM Auto-Dialler. 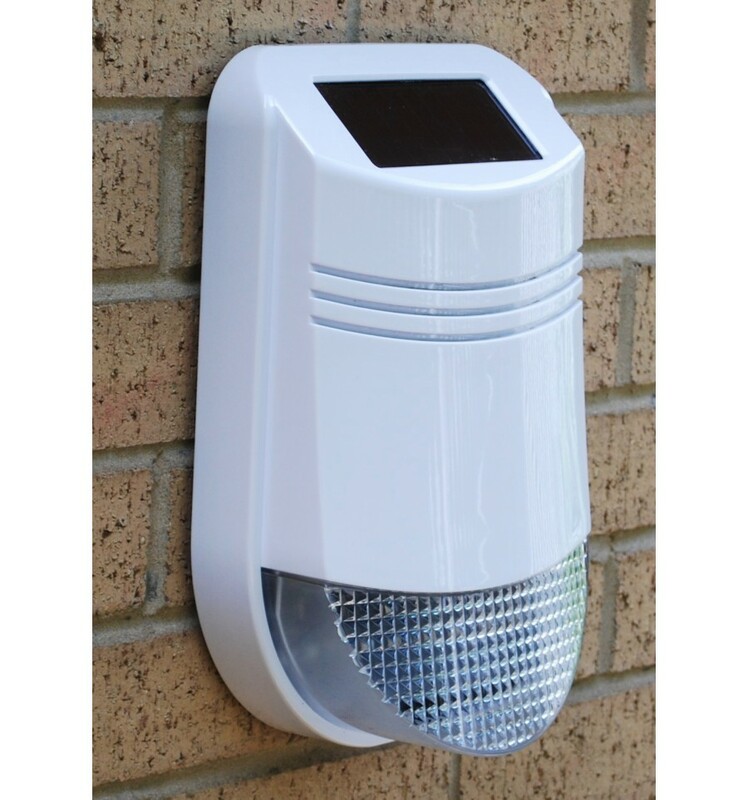 Solar powered Wireless Alarm Kit 1 supplied with a Battery powered GSM Auto-Dialler allowing you to protect a building (with No Power) with a Loud Siren & Flashing Strobe together with being able to contact Key-holders by Phone or Text. 1 x Solar Siren & Control Panel. 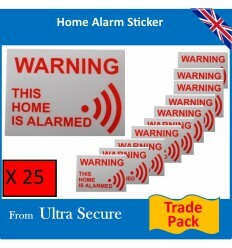 2 x HY Alarm Remote Controls (to Arm & Disarm the Siren). 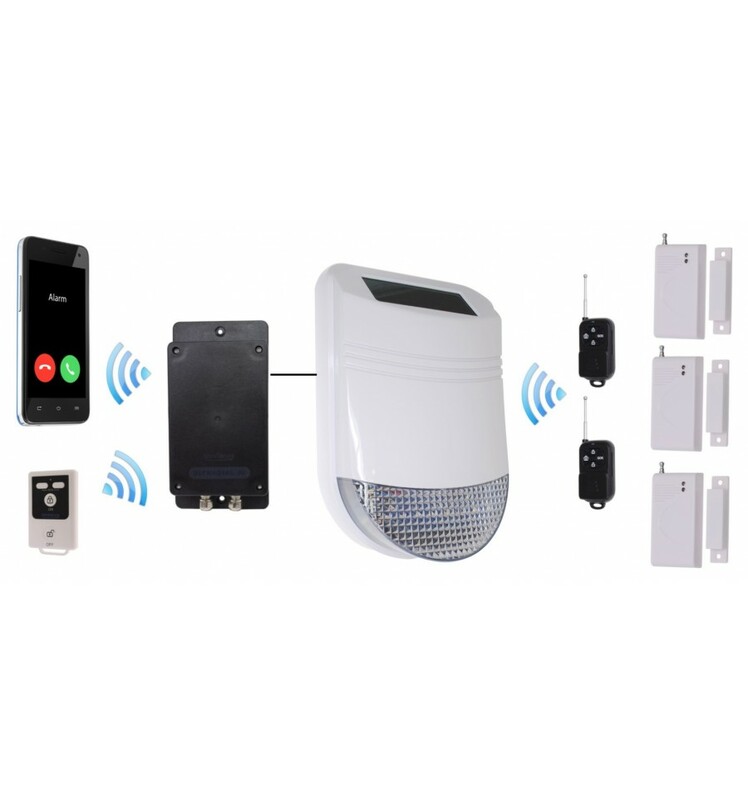 3 x Wireless Magnetic Door & Window Contacts. 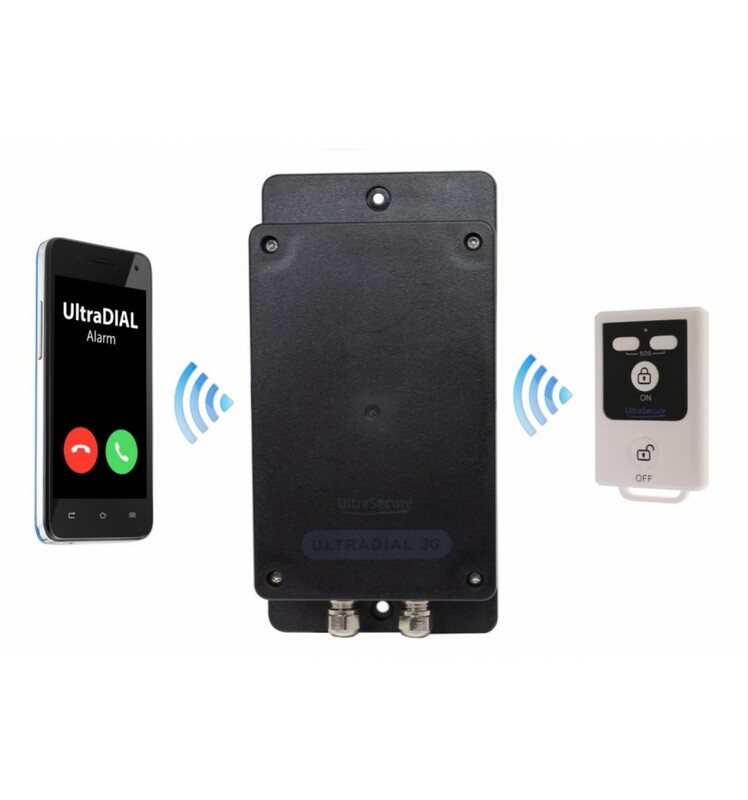 1 x Battery Powered UltraDIAL GSM Auto-Dialler. 1 x UltraDIAL Remote Controls (more can be added). Pair the Contacts & Remote Controls into the Siren (we will do this for you when it is purchased as a kit). Mount the Siren on the House wall (ideally on a South or East facing wall to help with the Solar charging of the Siren). 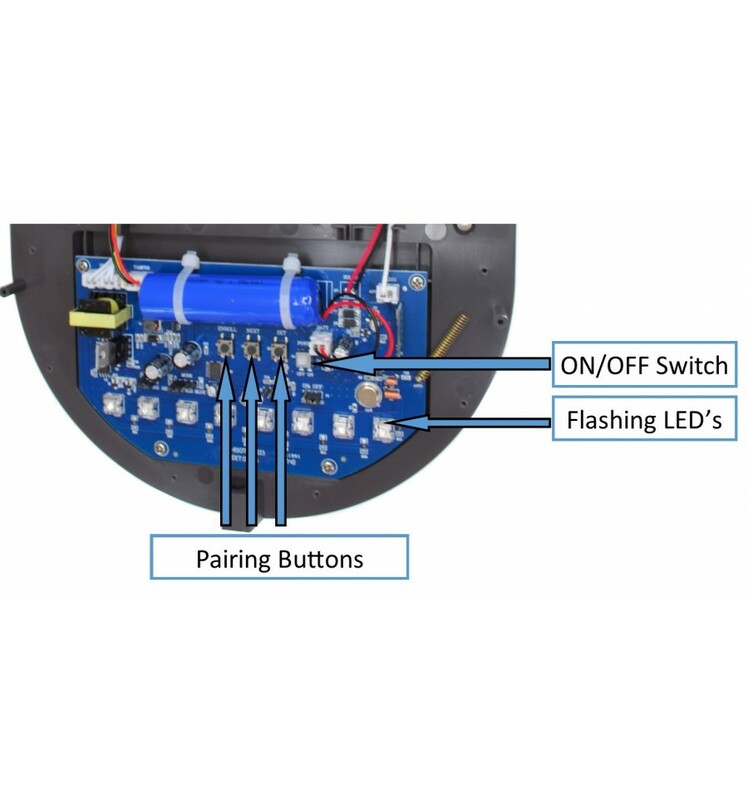 Mount the 3 x Magnetic Contacts on Doors/Windows & Frames (using double sided tape and small screws supplied) in a position that results in both parts nearly touching when the Door or Window are closed. 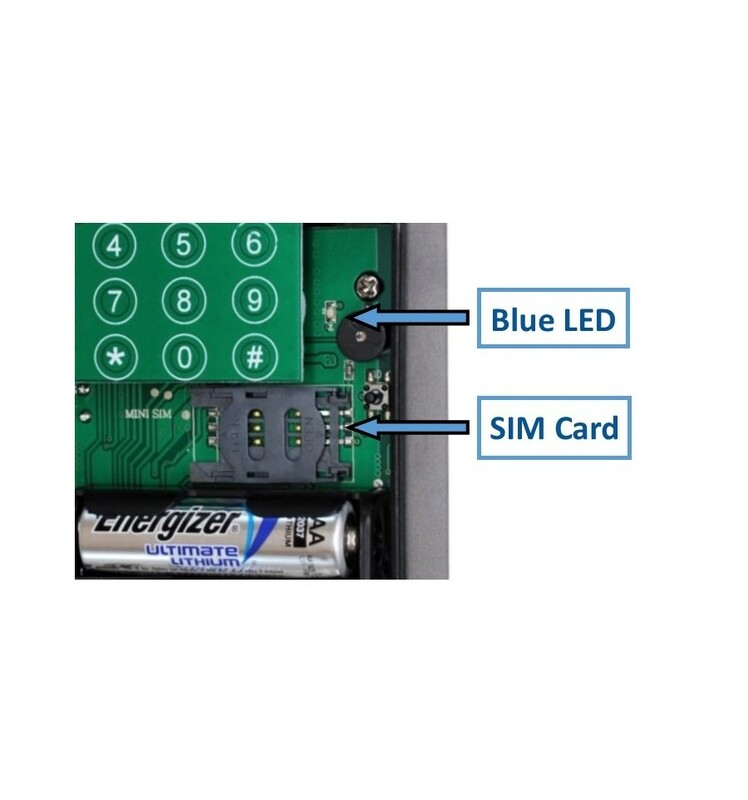 Fit a SIM Card into the GSM Auto-Dialler. Mount the Auto-Dialler next to the Solar Siren (this can be moved if required by lengthening the cable between the Auto-Dialler & Solar Siren). 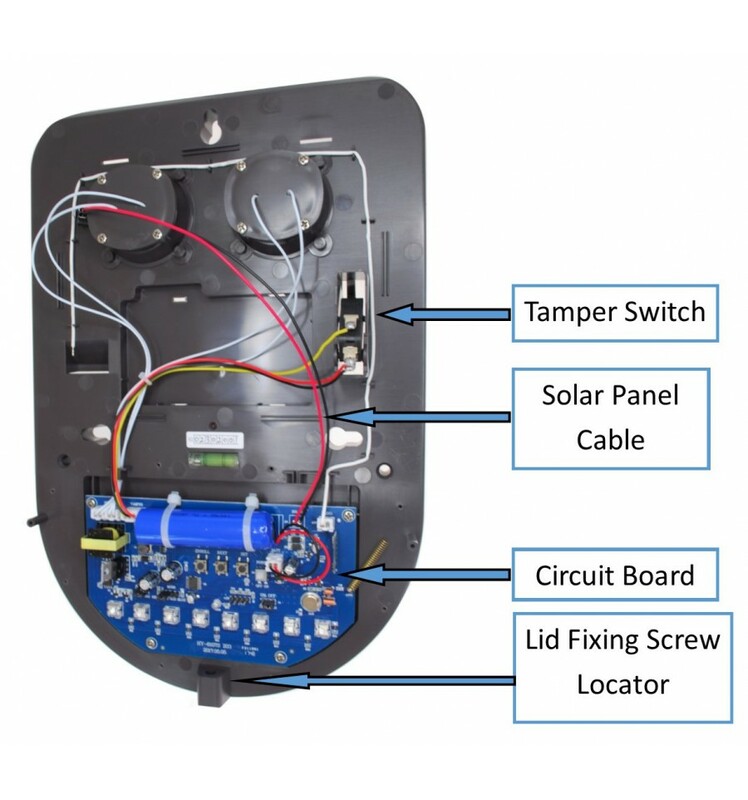 The Solar Siren & Control Panel is powered by a built in lithium battery which is charged and maintained by the top mounted Solar Panel, it also has a built in tamper switch should someone try to remove it. This Siren doubles up as the Alarm Control Panel and is Armed & Disarmed using the 2 x Remote Controls supplied (a further 6 could be added). 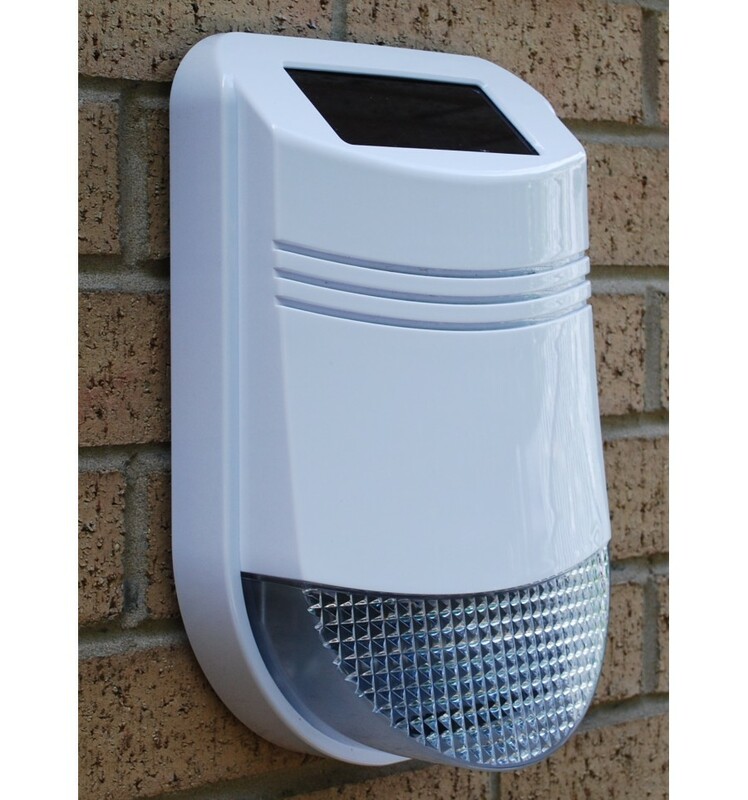 The Siren would be fitted to the outside wall of your home (ideally on a South or East facing wall) using screws and wall plugs, no power supply is required. The Magnetic Contacts (additional can be added) are connected to the Siren using a unique Wireless code, when the Door or Window is opened a signal will be sent to the Siren, if the Siren is Armed it will trigger the loud multi tone 105 Decibel Siren & Flashing Strobe for a duration of 3 minutes. The Siren can be turned off at any time using the Remote Controls, should you not be at home after 3 minutes it would stop but remain Armed. There is no time delay, so you would turn the Alarm ON & OFF using the Remote Control (from inside or outside) before opening the Door (or walking past a PIR if one is added to the system). Connected to this Siren by a short length of cable is our unique Battery Powered GSM Dialler (UltraDIAL), this is Armed & Disarmed by Remote Control, it is fully weatherproof therefore can be mounted next to the Solar Siren or fitted into a more suitable location for a GSM Signal if required (indoors or outdoors) by extending the Cable between the two. When the Siren is triggered the UltraDIAL will contact up to three key-holders by Phone (with your own pre-recorded message) & Text Message (you can choose to turn either the Phone or Text Off if required). When a key-holder receives a call, they can choose to press # (which will stop the UltraDIAL calling other key-holders and Disarm it) or press * (which will stop the UltraDIAL calling other key-holders but the UltraDIAL will Remain Armed). 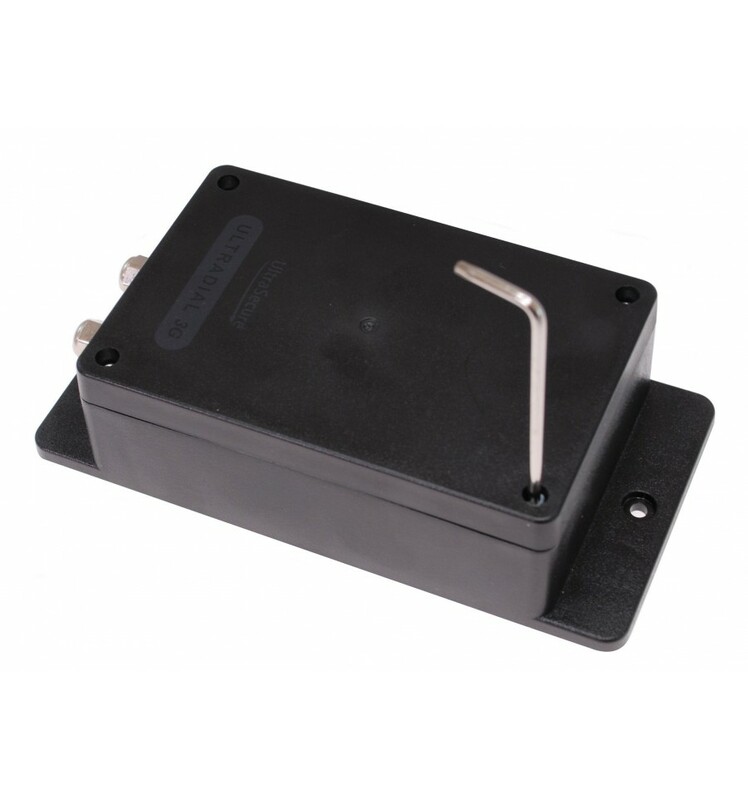 Ideal for applications where there is a limited (or no) power supply, the loud Siren will notify anyone on site at the time, whilst the Dialler will also contact key-holders (ideal for when the building is empty). Pet Friendly PIR's (will not detect combined animals under 10 kilo). There are many other accessories available, please contact us for advice. 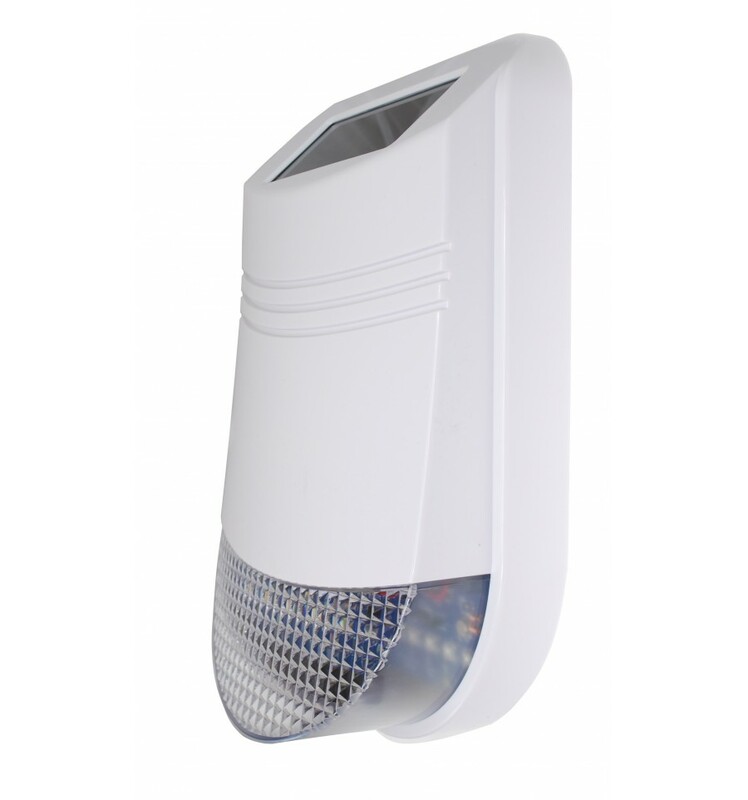 The Wireless Range between the Siren and accessories is 100 metres (line of sight) which equates to around 40 - 60 metres in most applications (this can be doubled by adding a signal repeater). The Remote Control also has a SOS Button on it, allowing homeowners to trigger the Siren at any time from inside or outside the property. 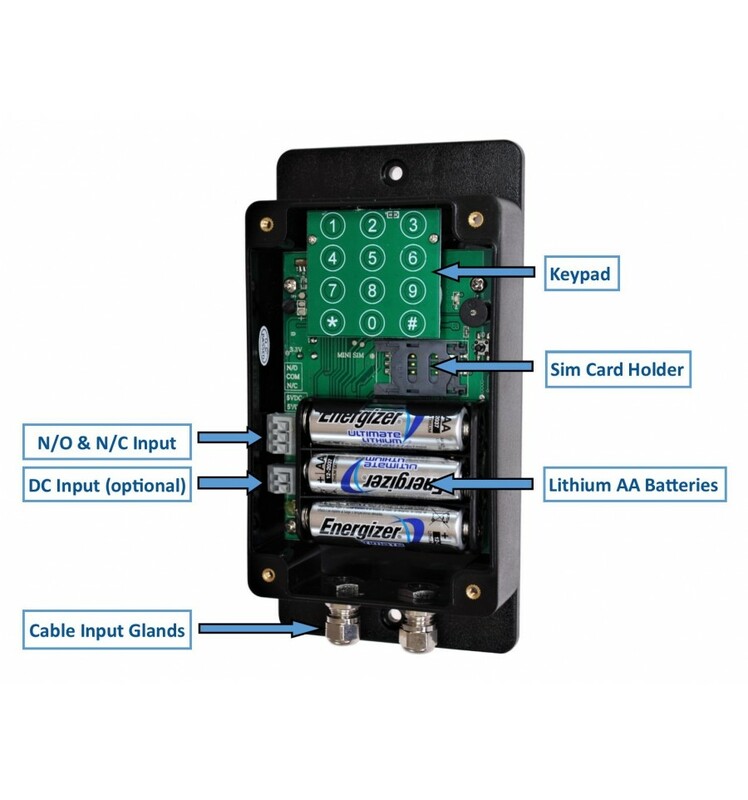 Gate Contact Kit for the KP Wireless GSM Alarms. 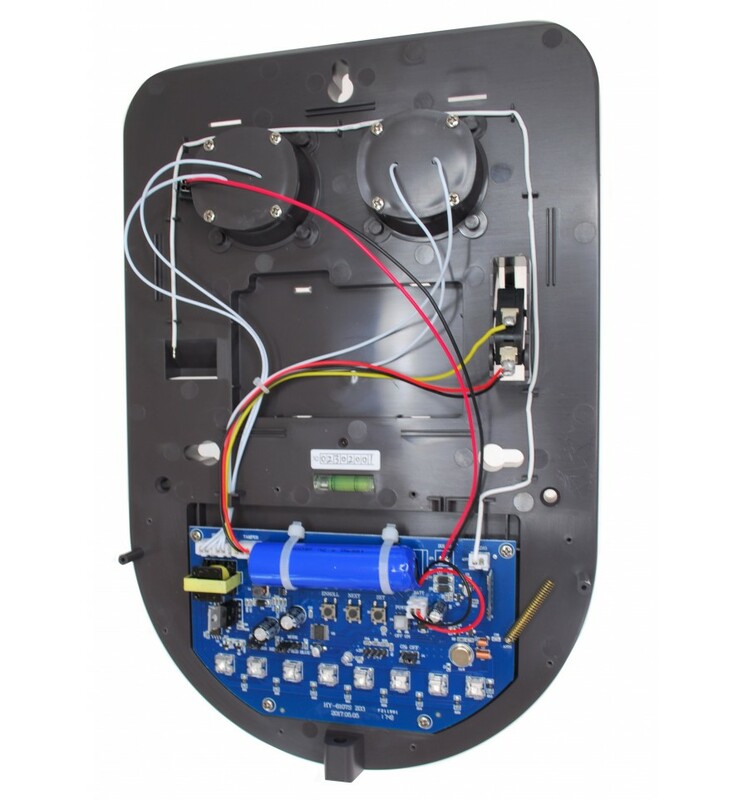 Wireless Gate Contact Kit, designed to help secure an external gate (40 - 100 metres away), working in conjunction with a KP Wireless GSM Alarm System. Long Range Magnetic Contacts for the KP Alarms & Alert Watch. Long Range Wireless Magnetic Contacts, designed to help secure vulnerable Doors & Windows together with the KP Wireless Alarm Systems & the Alert Watch, they have a 300 metre (line of sight) working range. Signal Repeater for the KP Wireless GSM Alarms. Wireless Signal Repeater, increases the working range between the KP Wireless GSM Alarm Panels and wide selection of alarm accessories. 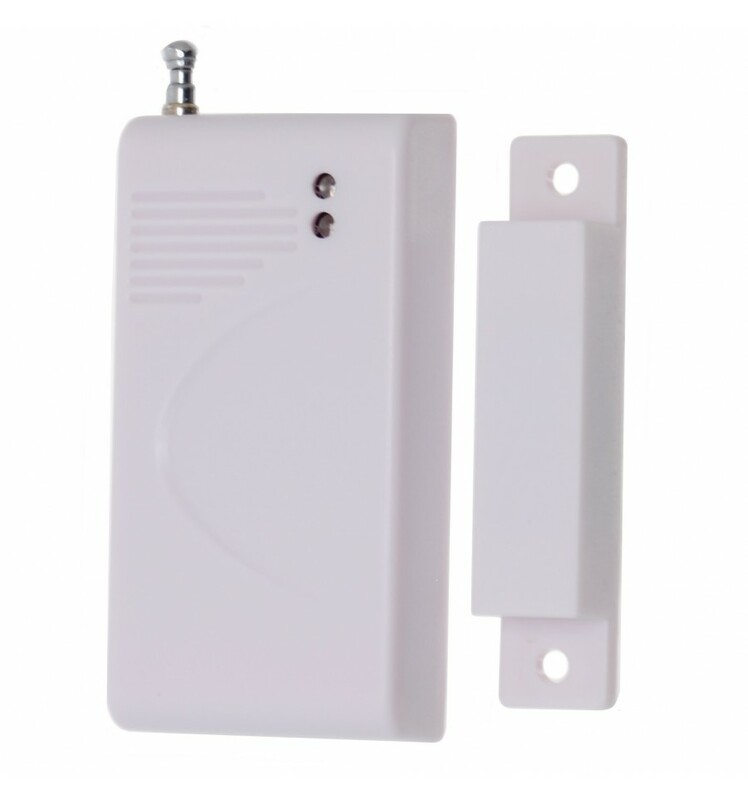 Hybrid Door Contact for the KP Wireless GSM Alarms. 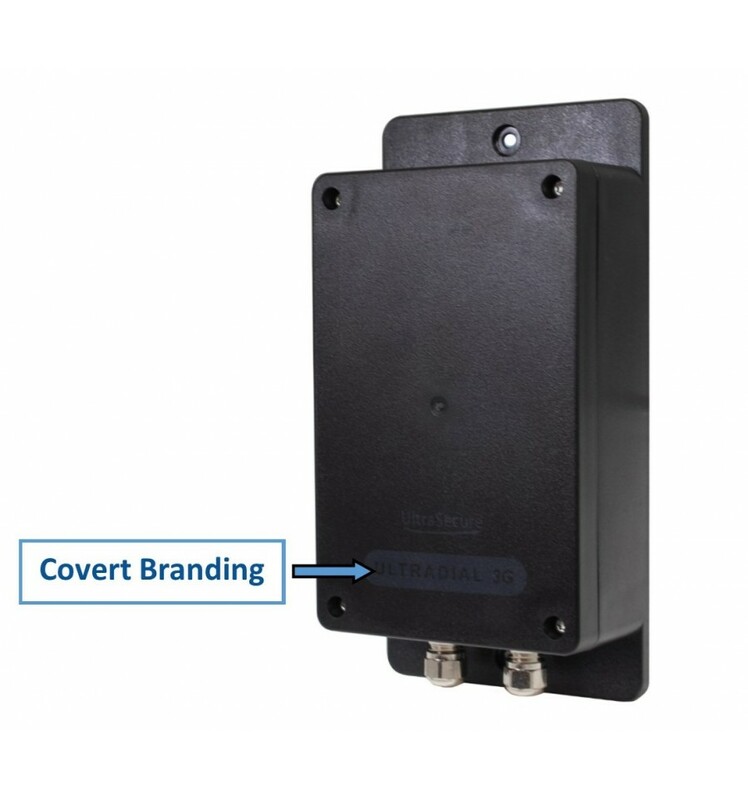 Hybrid Wireless Magnetic Contact for use with our KP GSM Wireless Alarms, designed for use in the awkward locations, such as Fuel Tank Lids, some Windows & Doors. 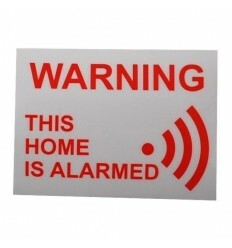 'This Home is Alarmed' window sticker which sticks to the inside of the glass. 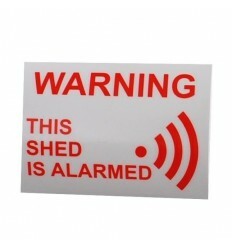 A5 sized 'This Property Is Alarmed' External Security Sign. External medium sized 'Beware of the Dogs' Warning Sign. 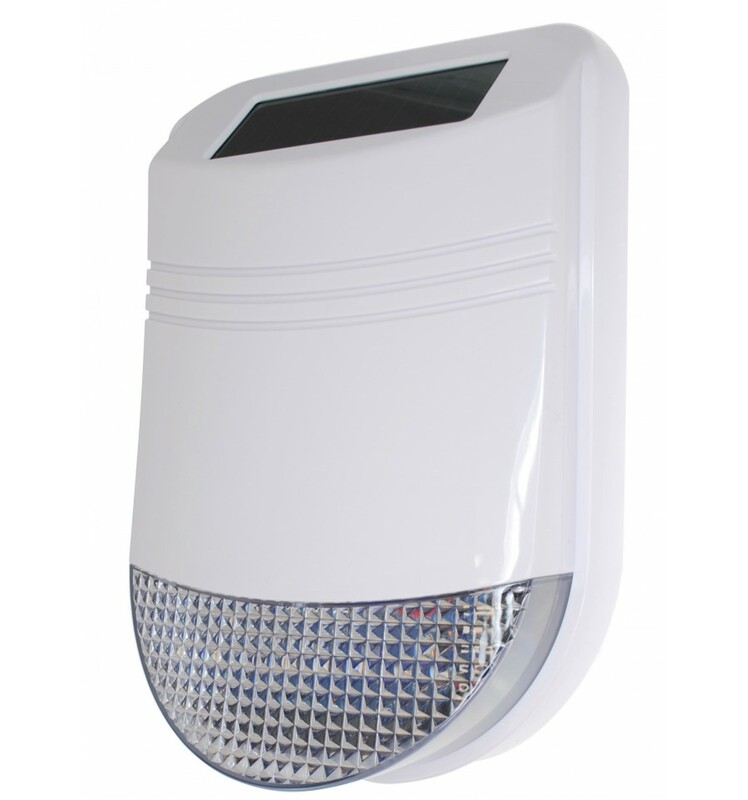 1 x HY Solar Wireless Siren. 3 x Magnetic Door & Window Contacts. 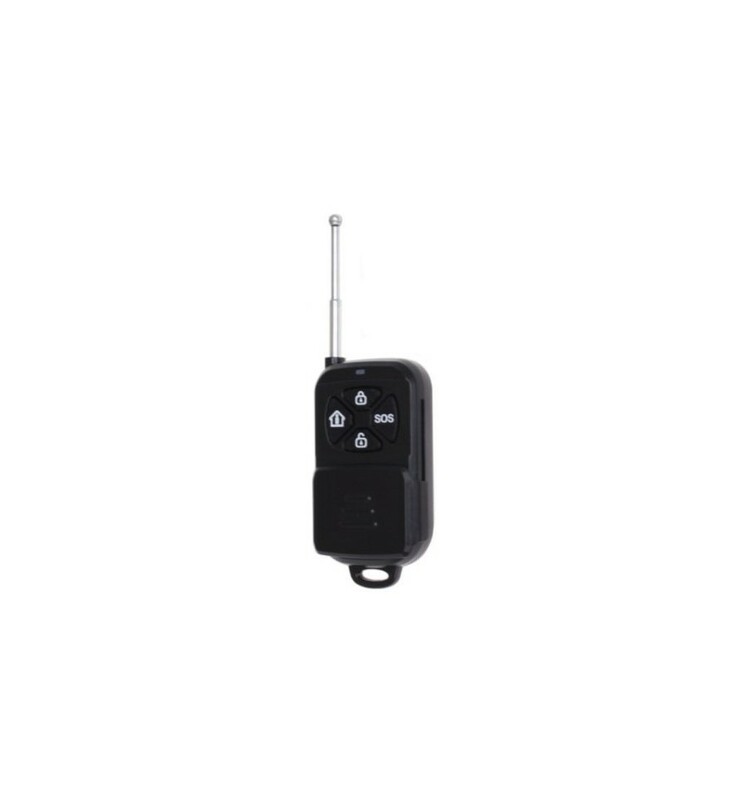 1 x UltraDIAL Remote Control. 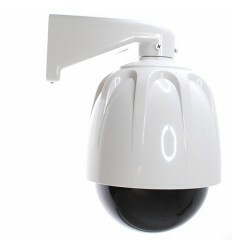 Wireless Range: 100 - 300 metres (line of sight). 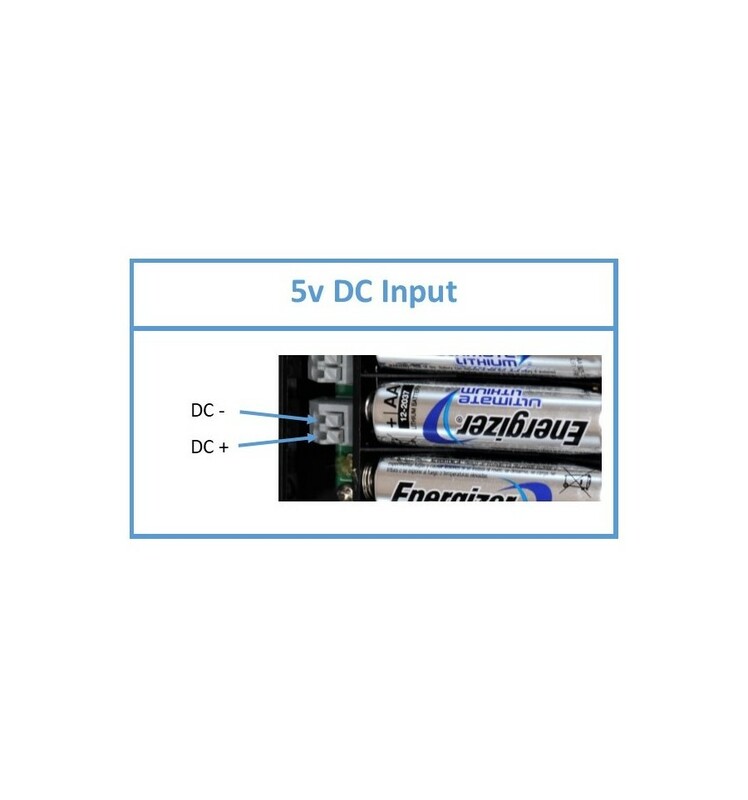 Power Supply: Built in Battery (2600 mAh 3.7v Lithium). Standby Time: 60 days (with no charging). Charging Method: Built in Solar Panel. 12 x Normal (require remote control). 4 x 24 Hour (will operate the siren even in disarmed mode). Flashing LED's: Yes (when activated). Tamper Switch: Yes (lid and base). Remote Control Operation: Yes (up to 8 per Siren). Siren Duration: 30 seconds or 3 minutes. Size: 320 (H) x 215 (W) x 103 (D) mm. Fitting Method: Remove Lid, fix base to the wall using 3 x screws. 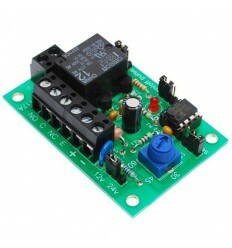 Optional Output Relay: Yes N/O & N/C (operates for the duration of the Siren). Wireless Operating Range: 150 metres (line of sight). Extending Aerial: Yes ( 0 to 60 mm). 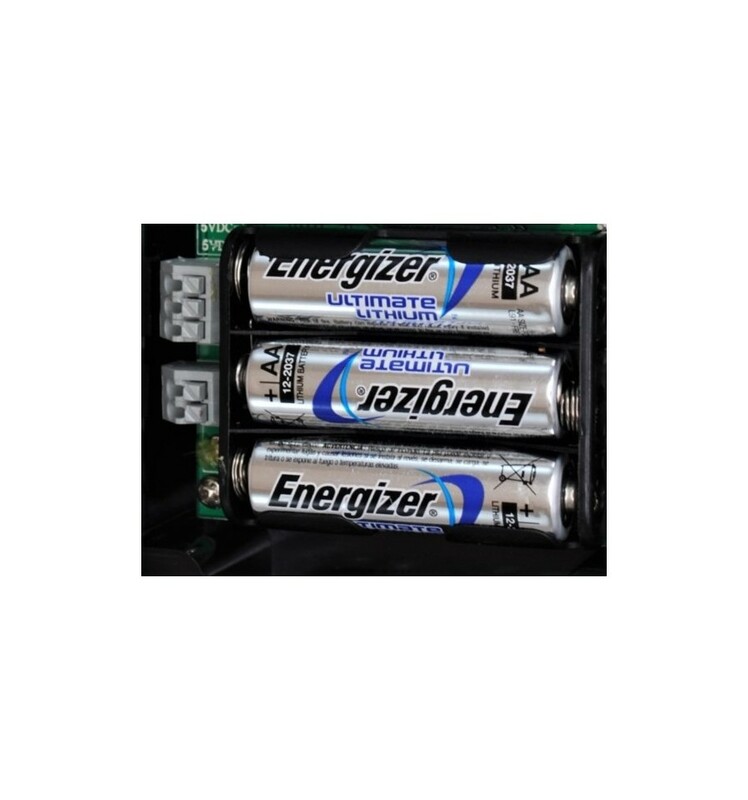 Battery: 1 x MN21 12v. Switch Size: 70 (L) x 35 (W) x 15 (D) mm. Magnet Size: 65 (L) x 12 (W) x 13 (H) mm. Extendable Aerial: 40 - 140 mm. Power Supply: 1 x 12v MN21 Battery. Battery Life: 6 - 12 months (normal use). Wireless Range: 300 metre (line of sight). Switch: Double sided tape (included). Magnet: Double sided tape & self 2 screws. 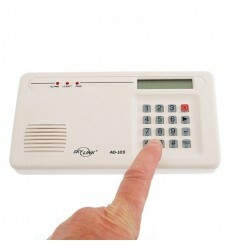 Arming & Disarming Method: Remote Control, Receiving A Call.